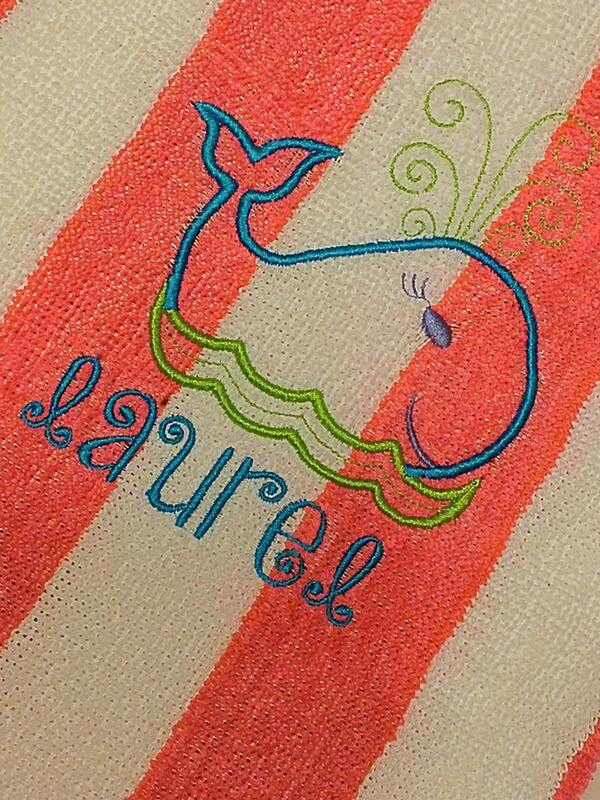 This fun towel features a girly whale with an embroidered name below in a cute all lowercase font. 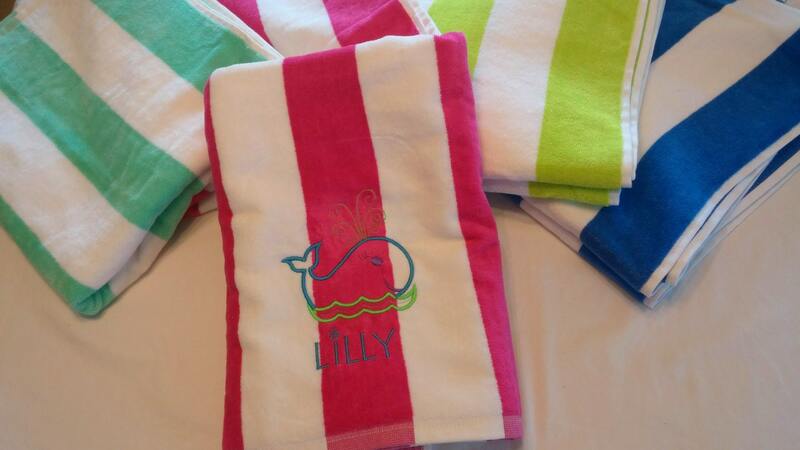 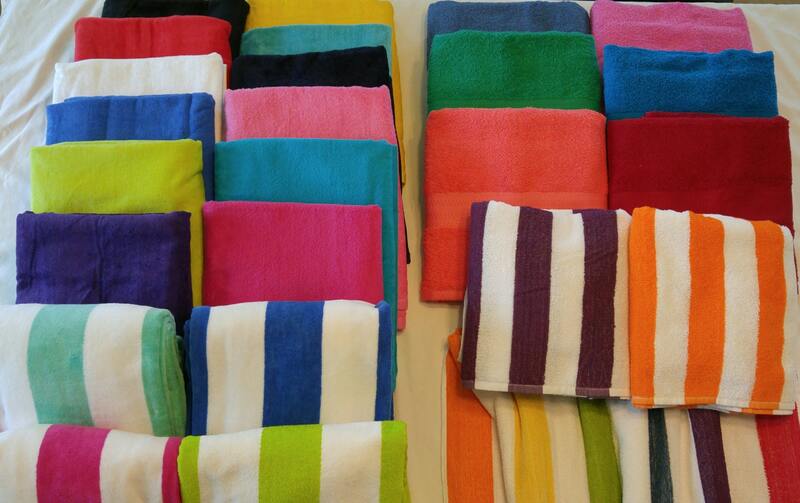 Sample is in the hot pink stripe. 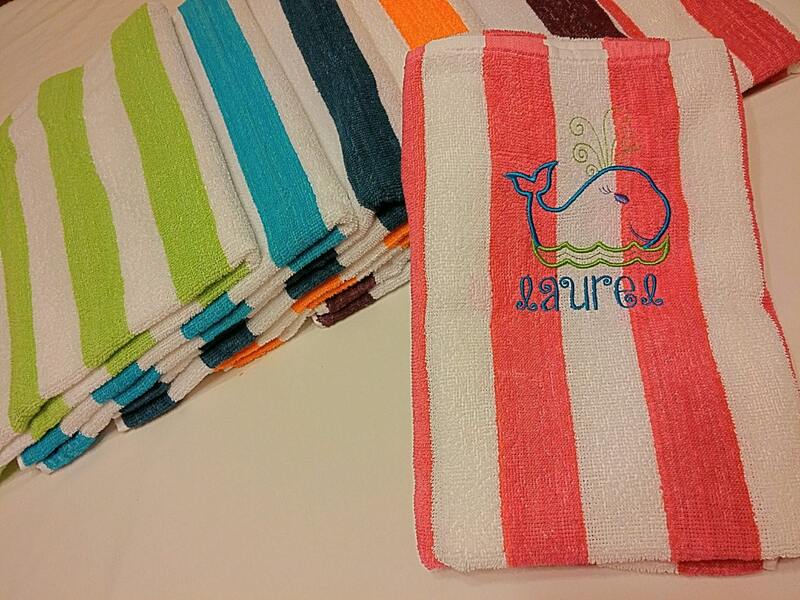 Default colors for design; green, lavender, turquoise.